Were You Injured in a Store or Place of Business in Brooklyn? Have you been injured in a slip-and-fall accident, been attacked due to negligent security or sustained any other type of injury in a Brooklyn store? Call our lawyers today at (646) 647-3398 to schedule your free consultation. You can also submit a contact form and we will be in touch with you promptly. When you hire our firm, you will work with a named partner. 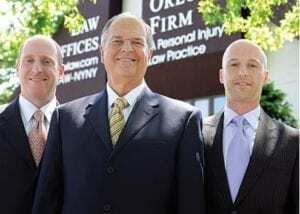 We believe you should expect that of any law firm you hire. If you or a loved one suffered an injury in a slip-and-fall accident or some other type of accident due to store negligence, our qualified and experienced Brooklyn premises liability lawyers will offer a confidential and honest assessment of your case.